Modern liner notes Kim Upright \ Bob Drysdale for Minds and I, \ I was a high school had both participated much in various bands. Because they two were Myujishiyaso the most excellent in the small town St.Albert who lived with us, it is to or become estranged from time to time, it was thought that I wish somehow. The Christmas break of 1978, I think that it was the call for Kim, such as the genuine leader, gathered at the Bob, also became the talk of whether not it will spider a different band. Bob is just back from the prestigious Berklee College of Music, had become a musical genius who Chiyotto. I to had been to write a summary and decent songs, I had become a very solid drummer also Kim. This became \ serious band. 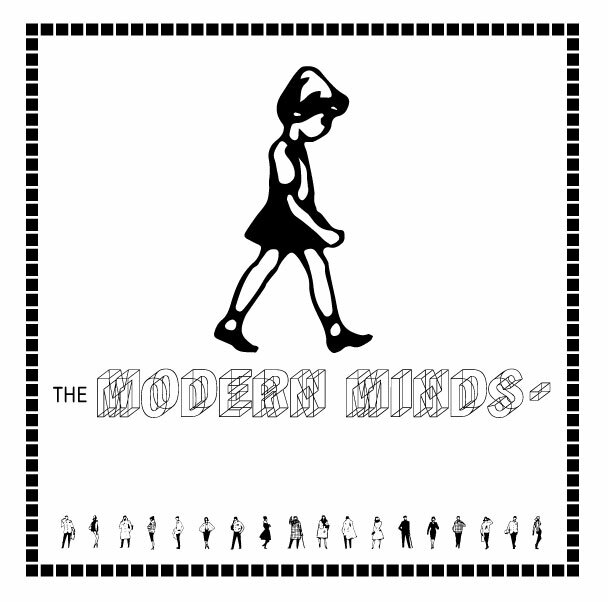 Modern Mind 引Ma PUNK / NW born in the midst of the explosion, we was a big Fuaso of BUZZCOCKS and JAM and UNDERTONES. So \ We decided to fast play as much as possible all of the songs. Because was too much not playing location in the vicinity of Engineering Domonton, for we did the 1st gig, it was a disco that had begun to attempt to put out a live band in the week 1. We already had a ready-made audience in Fortunately. Many of the kids who come to watch excitedly the band to play in the same style as \ their new hero finds the same music and we took the heresy. To come we approached the story one of the local factories Jesoto is like to manage- Soto to us, because the first thing that we did and he was able to buy a van to carry the \ equipment and we from gig to gig. Because the manager has or approached the suspicious trading, but dealers of motor vehicles also initially had been reluctant to me eventually to provide a Chrysler Cordoba. It was a big Fuamiri car. Is we \ that stupid’m I bought it (mind you! I we was still 19 years old at the time). Riding in it, and went to Basokuba to spear a gig at the famous Smilin ‘Buddah. I think I was using the car to go to the gig and was alone with it. Though Kim had Chiyo <Cho <drove around trying to give the impression to girls, because we did not pay, was eventually got regained the car to the dealer. Later, it had become a mechanism that we by the place of his many and I Manager transactions to Nante to the gig is learned be had shakes \ after all a lot of money go to the payment of the car. We, because he wanted to play for the sake of taking rather’m something stupid gig, such as has been \ their new audience, I was finished with him. Shortly thereafter, we are partnered with Larry Wanagas that will manage- Soto a something KD.L ang. He owns a studio that was supposed to be this Rekodisogu, time vacant Thankfully I was let me used to us. Most of these songs sometimes I thought Nante want to re-recording the song again back \ and if \ If possible’m something that was one shot-recording live. But, the Atiteyudo was essential cornerstone of for us at the time had been captured, I thought the later. We become a whirlwind that was Chiyotto at the factory Domonton, in and out also some radio show, eventually Theresa ‘s World .. It’ s Gone., Was released seven inch single was recording b the Bungalow Rock. But soon put out a single, I went again estranged Bob and Kim and is with me. I was successful in \ my band The Pursuit Allowed Happiness went to Toronto left the factory Domonton. Kim and Bob proceeded to the road of both favorite visual art. It has become passed away <to \Bobi until a few years ago but sad. Kimi as or successful web designer, you are living in even now St.Albert. These recordings, it does something to represent the moment it was most engineering Kisaitisogu in my life. It becomes Myujishiyan, I dream of my life has been realized for the first time to become a recording artist. It was a Kim and Bobi or great Myujishiyan It was a band mate. I have to thank many learned was especially their music of Yuruna. I in that there is a new audience for these songs to have been excited in spirit when the \ we were recording it, I hope that that will in everyone enjoyed.